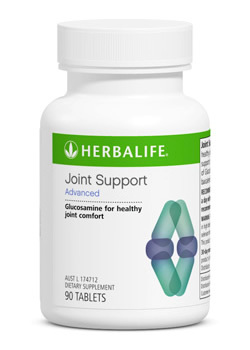 Glucosamine in the body is used to make a "cushion" that surrounds the joints. In osteoarthritis, this cushion becomes thinner and stiff. Taking glucosamine hydrochloride as a supplement helps to supply the materials needed to rebuild the cushion. This product can be purchased on our GoHerbalife Shop under Targeted Nutrition.